Most relationships require giving a bit more than we’re ready or comfortable to give, and that is why most relationships grow and shape us. But there’s no denying the rest of an unchallenging, natural friendship. I enjoyed the BBC Sherlock until the third season. At first Sherlock’s uncalculating (one might even call it clueless) cruelty was almost endearing. The idea that someone this smart and perceptive could miss out on such basic, human elements was comforting in a way. Leaving out the studies showing those with the highest IQs actually tend to have excellent social skills along with highly integrated and successful lives. Then in the first episode of season three, Sherlock knowingly puts his best friend, John through a ringer (emotional abuse I found personally triggering). Season three seemed to be trying (over all) to show the growth of Sherlock’s character and social awareness. I argue that the emotional abuse it did show growth, but in a deeply disappointing way– that he was consciously manipulating, now rather than jerk-walking obliviously over these people. 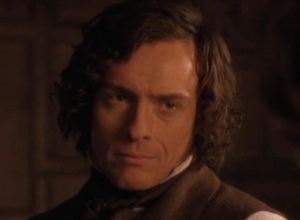 This Sherlock is aware of his effect on others, and runs roughly over people, but over the two seasons of his association with his Watson, and the highly interpersonal relationship-building/ accountability of the NA culture, he has grown a level of awareness that brings him from the demigod status of the BBC Sherlock, to a satisfying and rounded character that is imperfect and growing, even in his own sight (which is arguably harder). In an episode this month, Sherlock learns of the death of a long-time acquaintance. It was an overdose-related death, sparking a level of introspection and growth-process that (as someone watching from the fringe of a Recovery community) I am thrilled to see on popular television. For the writer as well as the character. But the longer a storyteller lets that characteristic define (or dominate), they run the risk of that flanderization. If the core character doesn’t change, the characters around him or her must. They can become callused, accepting the abuse of others, or they become less strong, accepting abuse themselves, or taking responsibility for the poor behavior of the friend they accept so completely (“Just the way they are”) that they won’t call them out. Granted, both Watsons have moments (on-screen and implied) where they’re working on their Sherlocks. So far it’s this ‘misanthropy was easier’ line that speaks the most to me about valuable growth. 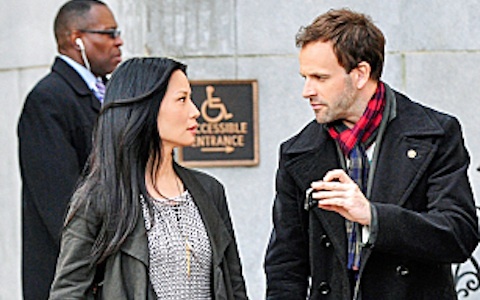 Elementary‘s Sherlock has acknowledged an internal change, and he’s not sure he likes it. But it’s here, now, and a part of him is going forward. What I hope for (as a story-lover) is a character rich enough that he is still recognizable as himself whether or not he takes every opportunity to be thoughtless or cruel in small ways; whether or not he fits the caricature of the (poorly read) Sherlockian fans. This entry was posted in Debates?, Movie-related, Observations. Also, I read somewhere else today that the Elementary nod to Philip Seymour Hoffman was well done. Heh. I had to Google that name.